Have you ever gotten anxious when booking a trip online? If so, you’re not alone. Was it a health issue, high trip costs, or uncertainty that made you delay booking travel? Travel agents can ask these questions, but there’s not a precise way to read a customer’s mindset when a trip is booked online. Whether your customer is a Millennial or a Baby Boomer, chances are their answer is different. That’s why it’s so important to understand your customers, and it’s what we do best. A smart travel insurance provider considers the customer first and then builds products to address their unique needs. That approach is critical to more satisfied customers and increasing revenues for our partners. Both pay dividends. So we posed the question, is a Millennial or Boomer more likely to buy trip insurance? Or in other words, what’s the value or peace of mind that each group wants from travel protection? To answer this, we explored our proprietary research used to develop a highly sophisticated understanding of travelers and their concerns. This data represents a segment of the more than 25 million U.S. customers that Allianz Partners insures annually. Nearly half (48%) of travelers are more concerned about traveling today than in the past, according to a 2015 survey by USTiA. 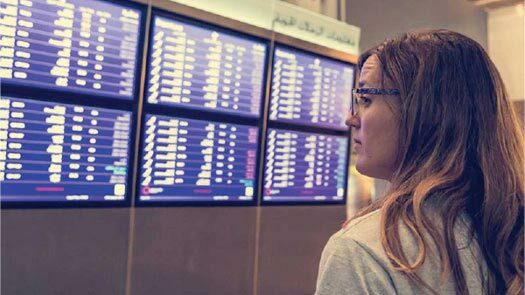 One in six travelers is affected by travel issues.1 U.S. consumers who purchase travel protection tend to be better educated, have a higher household income, and travel more for both business and pleasure than un-insured travelers. They typically do more research when planning their trips, checking at least four different information sources like online travel agencies or supplier websites. Insured customers book travel months in advance and usually take one or more international trips a year. They also book their trips as packages, adding hotel rooms or rental cars. Interestingly, women are more likely than men to purchase insurance in many travel segments. But the most compelling factor is this: consumers who are more informed about the value of travel insurance are twice as likely to buy it.2 Therefore, much of our efforts are spent raising awareness of the category and better informing consumers how it can protect their investment, or their health while traveling abroad. Baby Boomers typically spend more time and money than other generations on travel, but they’re more concerned about unexpected reasons that might cause them to miss a trip, such as health issues. More than a third of Boomers buy insurance for trip cancellation, while a quarter of them purchase it in case they get sick or have a medical emergency abroad. Generation X travelers tend to be more family focused and cost conscious. They’re most likely to bring their children to make memories and are concerned about family while traveling. Gen Xers often look for deals and want to avoid unexpected costs, so a trip cancellation benefit with cost reimbursement is often the most important. Now back to our question. Who’s more likely to buy travel protection? According to MMGY’s Portrait of American Travelers, more Millennials report buying travel insurance in the past 12 months than any other group. A third of Millennials plan to purchase it in the next 12 months, followed by 26 percent of Boomers and 18 percent of Gen Xers.4 So Millennials, one of the largest, most influential groups of travelers, are also the biggest proponents of trip insurance. So what do we do with these customer insights? Focusing on customers’ unique needs enables us to develop more relevant travel protection benefits. And when travelers are booking a flight or travel package online, we’re able to analyze their trip characteristics and ensure that customers are getting the most relevant travel protection benefits tailored to their trip. It’s helpful to look at how this applies to specific traveler segments. People traveling for business have distinctly different behaviors and protection needs than those going on vacation, but it can be tricky to accurately identify them in the booking path. We use proprietary segmentation rules to predict the type of trip they’re booking online, and that determines the insurance benefits we recommend. Recognizing this, we recommend an Allianz Travel Insurance plan that’s customized to best fit the concerns of a leisure traveler and tailor our offer message to emphasize the relevant benefits. Done effectively, our optimization tests have shown this can boost insurance sales conversions, earning increases up to the double digits in our partners’ revenue per transaction. We apply the same segmentation process to online bookings for hotels, car rentals, and event tickets as well. When the right product benefits are matched to the right travelers, consumers get more value. A higher perceived value increases consumer demand, which in turn grows our partners’ ancillary revenue.